Meta-analysis has changed the way researchers conduct literature reviews not only in medical and social sciences but also in biological sciences. 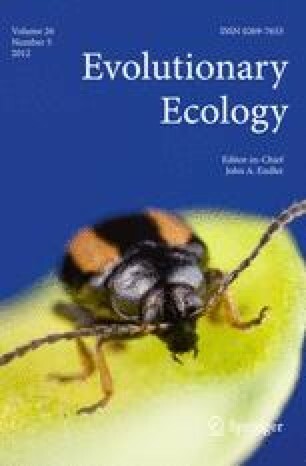 Meta-analysis in biological sciences, especially in ecology and evolution (which we refer to as ‘biological’ meta-analysis) faces somewhat different methodological problems from its counterparts in medical and social sciences, where meta-analytic techniques were originally developed. The main reason for such differences is that biological meta-analysis often integrates complex data composed of multiple strata with, for example, different measurements and a variety of species. Here, we review methodological issues and advancements in biological meta-analysis, focusing on three topics: (1) non-independence arising from multiple effect sizes obtained in single studies and from phylogenetic relatedness, (2) detecting and accounting for heterogeneity, and (3) identifying publication bias and measuring its impact. We show how the marriage between mixed-effects (hierarchical/multilevel) models and phylogenetic comparative methods has resolved most of the issues under discussion. Furthermore, we introduce the concept of across-study and within-study meta-analysis, and propose how the use of within-study meta-analysis can improve many empirical studies typical of ecology and evolution. The authors thank J. Endler for conceiving this special issue and E. Schlicht, S. Chamberlain, M. Lagisz and two anonymous reviewers for the comments on an early version of this paper. S.N. acknowledges the Humboldt Fellowship and Marsden Fund for support and also is grateful to B. Kempenaers for hosting and providing an excellent working environment at the MPIO. E.S.A.S. acknowledges the support of a University of Otago PhD Scholarship. We conducted a survey of the meta-analyses published in the last 3 years (2009–2011). We performed a search of the online database Scopus, by using the following keywords: “meta-analys*”, and “meta-regression” (last updated in October 2011); we restricted our search to the following journal titles: American Naturalist, Animal Behaviour, Behavioral Ecology, Behavioral Ecology and Sociobiology, Biological Reviews, Ecology, Ecological Application, Ecology Letters, Ecological Monographs, Evolution, Evolutionary Ecology, Functional Ecology, Journal of Evolutionary Biology, Journal of Animal Ecology, Journal of Applied Ecology, Journal of Ecology, Molecular Ecology, New Phytologist, Oecologia, Oikos, and Quarterly Reviews of Biology. Our search yielded a total of 390 original studies; we used the most recent 100 ‘biological’ meta-analytic studies as defined in the Introduction. From each study, we retrieved the following information: (1) the type of effect size used, (2) whether the study accounted for phylogenetic relatedness or not, (3) whether the study used any procedure to deal with publication bias, and (4) the software used to conduct the meta-analysis. In addition, we classified the effect sizes into the three main categories (i.e., means, correlation coefficient, and dichotomous; see section ‘Effect-size statistics in ecology and evolution’). All other types of effect sizes (e.g. repeatability and selection coefficients) were pooled in one category (named ‘others’). If the studies used any procedure for dealing with publication bias, we classified them into one of three categories: (1) studies that only identified publication bias, (2) studies that only assessed the impact of publication bias; or (3) studies that conducted both types of procedures (see the section ‘Publication bias’). In addition to the results reported in the main text, we found that most studies did not account (83%) for phylogenetic relatedness of the species included in the analyses. For this estimate, we excluded most of the ecological meta-analyses, because these studies mainly deal with effects on ecosystem or community scales, where phylogenetic non-independence does not apply. Most of the meta-analyses included in our survey used the software MetaWin to conduct their analyses (42.3% of studies). Eighteen studies did not report the software used; 19 different meta-analysis software packages were employed in the remaining studies.